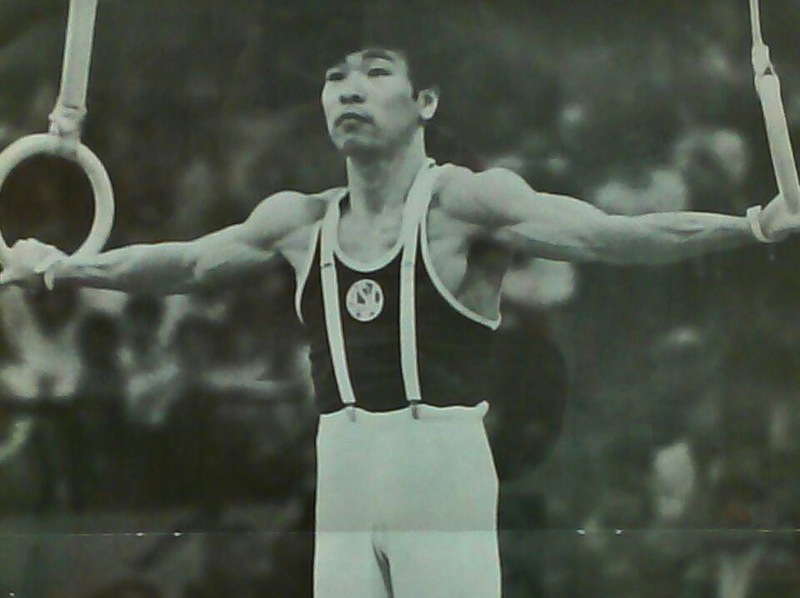 As a Top Japanese Gymnast, My Dad’s Future Was Laid Out for Him. He Opted for Adventure in the U.S. Instead. The letter that would change my father’s life—and eventually lead to his recent induction into the USA Gymnastics Hall of Fame—arrived in 1964, at his high school in Nara, Japan. Addressed to Yoshi Hayasaki, it was from an American. My father, 17 at the time, could not make out a single sentence typed by Eric Hughes, a professor at the University of Washington in Seattle. He asked a campus English teacher to translate. “It sounds like he is trying to invite you to come to America,” the teacher told my father. Hughes, as it turned out, had started a men’s gymnastics team at the University of Washington in 1956, a time when the sport in the U.S. lagged behind Japan and the Soviet Union. While on sabbatical in Japan 1964, Hughes scouted for talent. That was when he first spotted my dad, a 5-foot-3 city and regional champion, ranked as one of the top five gymnasts in Japan. 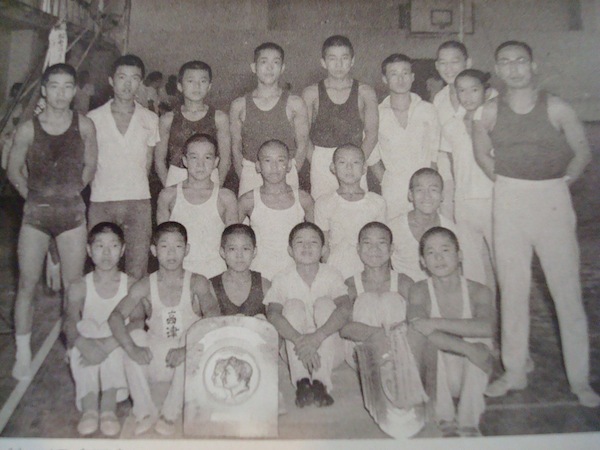 The author’s father, Yoshi Hayasaki (first on the left), with his junior high school gymnastics team in Osaka, Japan. The letter stated that if my dad earned admittance to the University of Washington, he would be guaranteed a scholarship to the school, and could compete on its team. All my father really knew of America at the time came from watching translated episodes of Rawhide, an American Western TV series. His mother, on the other hand, had memories of U.S. mortars reducing her Osaka home to ashes, and racing to shelters with her oldest child in her arms as enemy bombs fell. But the family spoke little about these war stories. Coaches and teammates could not understand why my dad would even consider competing in another country—in the U.S. of all places—when Japan was already the gymnastics superpower. Everybody was against the idea, including his father. There is a Japanese proverb: “The nail that sticks out will be hammered down.” It is a saying I’ve thought about throughout my own life, as someone who feels like I’ve at times stuck out, even in America. Here, however, it is possible to find your own way, and embrace the road less taken. Back then, in Japan, my dad could practically see the hammer’s face. Sending him on a plane would cost too much; my grandfather had lost his plastics company in bankruptcy when my father was in sixth grade, and the family of six was forced to move into my great-grandparents’ two-bedroom, one-bathroom house. My grandmother sold hairpins on the street. My grandfather never worked full-time again. 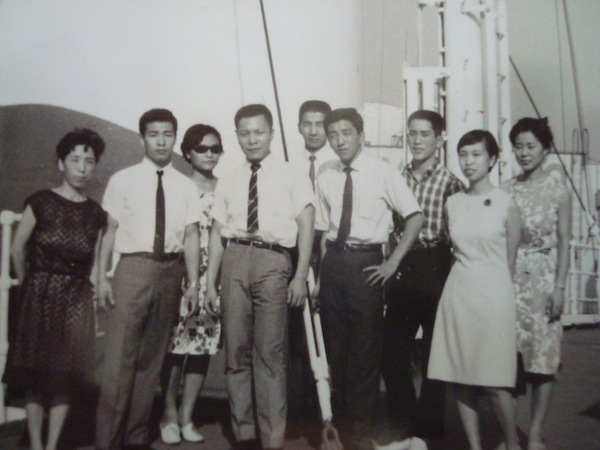 Yoshi Hayasaki (second from the left) with his family the day he left on the S.S. Idaho from Yokohama Harbor. The family hunted around for a cargo ship. On July 30, 1965, shortly after graduating from high school, my father boarded the S.S. Idaho, which was transporting logs from Yokohama to Longview, Washington. The trip cost $300. He slept in a cabin in the lowest bowels of the ship, where the rocking was most violent. By day three, the sky turned gray and stormy. Seasick, he vomited liquid for four days, as his body turned nearly skeletal. The pages of his diary went blank. By the eighth day, he could drink water again. He ate a hot dog. “I’m living again,” he wrote. Twelve days later, he rushed out to the deck and saw land. He would attend high school again, this time for a year in Issaquah, Washington, to learn English, before taking the tests to gain acceptance into the university. He was one of three foreign exchange students in an all-white school. It took a while to realize that kids were making fun of him when they called him a “Jap” or a “chink,” but he tried not to care. He had a mission: to make it into college, and become a champion. Once, while going through the cabinets of his host family’s home, he found an aluminum can, but could not read the label. He opened it, chewing its contents, stomaching the odd taste. He later found out it was dog food. On the third try, he passed. He enrolled at the University of Washington in 1966. His first competition in the national championships took place the following summer. To his devastation, he placed at the bottom. The next year, “I went nuts training,” he said. He came back to the national championships in 1967 and took first place, becoming the USA Gymnastics all-around champion. He did it again in 1968, winning individual titles on rings, parallel bars, and high bar. Then, he set another goal: to compete on the U.S. Olympic team. Dad applied for American citizenship in 1968, knowing this was no small step: A few weeks later, a letter from the U.S. government required his appearance at a physical examination. He was being drafted for the Vietnam War. Was what happened next luck or misfortune? He will never know. One day, while practicing a back handspring twist, he punched the floor with his legs hard, tearing his right Achilles tendon. He received 24 stitches. He failed the military physical. He also missed his shot at making the 1968 Olympic team. Two years later, he recovered enough to win back-to-back NCAA all-around titles. But in another stroke of fate, he tore his left Achilles tendon. He continued to train, but his body was never the same. His Olympic dreams over, he contemplated whether he should return to Japan, become the businessman that others expected of him. His father could be proud now; his son had accomplished something. Beyond athletics, Dad could also speak English. He had a cadre of American friends. He bought a 1957 Volkswagen, and began dating an American woman (who would become my mother). When an offer to become the head coach of the University of Illinois men’s gymnastics team arrived, he did not think twice. It was an opportunity to stay, build a community his way, and raise a multiracial family. The program had been on a losing streak for a decade, so he reached into lessons from his own journey to turn it around: with the best U.S. athletes already spoken for, he could look abroad to revitalize his Illinois team. He began traveling to Brazil, Finland, and Portugal to recruit, sharing his own story of making it in the U.S. and convincing athletes from far-off countries to compete for Illinois. Their wins soon attracted more local talent, developing top athletes from within the U.S. In 1980, they won the Big Ten title, and five more after that. He was named Big Ten Coach of the Year four times. In his 33 seasons, he coached 14 individual NCAA champions, 89 All-Americans, and three Olympians. 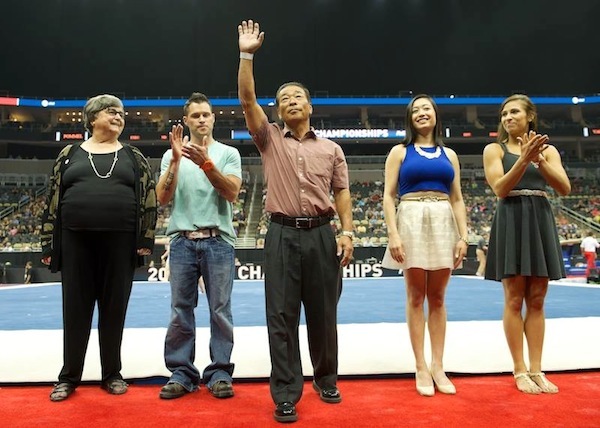 Yoshi Hayasaki (center), waving to the crowd when he was inducted into the USA Gymnastics Hall of Fame in April 2014. At 67 years old, my father continues to teach gymnastics at the private gym he started, The Hayasaki Gymnastics Center in Champaign, Illinois. For him, it’s not about working with the “stars.” He has most enjoyed teaching the hundreds of gymnasts who trained because they simply wanted to see where the journey would lead. The ideals my father developed in America are now embedded within his gymnasts, and also within me: Growth comes from taking risks. Reinventing yourself is sometimes necessary. Fear of failure can be a powerful muscle. And sticking out? It might be the most underestimated strength of all. Erika Hayasaki is the author of The Death Class: A True Story About Life (Simon and Schuster) and an assistant professor in the literary journalism program at UC Irvine. 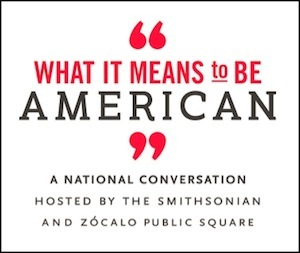 She wrote this for What It Means to Be American, a national conversation hosted by the Smithsonian and Zocalo Public Square. *Photos courtesy of Yoshi Hayasaki.